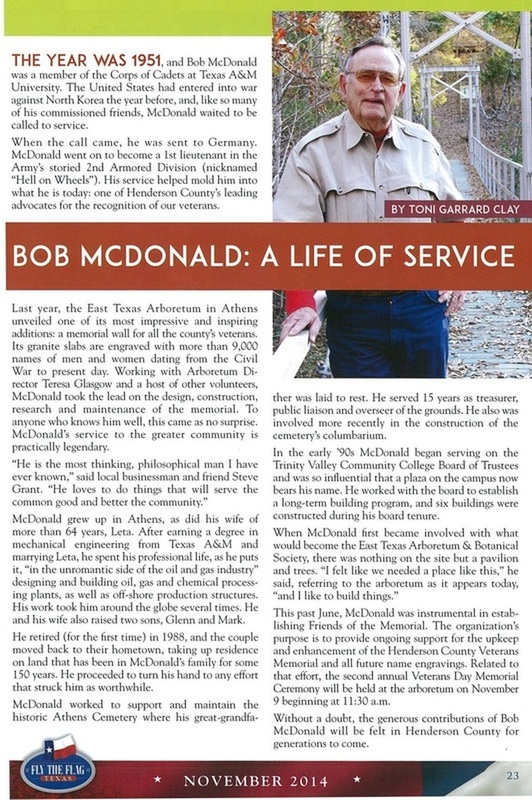 The Bob McDonald Endowment Fund has been established in honor of the late Bob McDonald. He was a friend and long time board member of our association. This fund will assist in the long term care of The East Texas Arboretum. Please view the support section of our website to make a donation for this very important fund. Thank You for your support.